A man owed by Gold Coast Securities has switched off the power supply to the Adum office of the company in Kumasi, in the Ashanti Region, forcing management to shut down the office temporally. 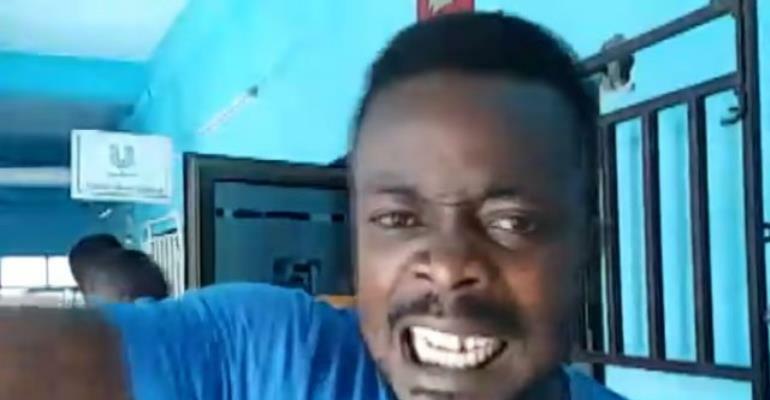 The agitated customer, Prince Owusu, surprised both customers and management of the security agency with his loud rants, curses, and incessant demands to be paid his locked up investments of È» 150,000 on Tuesday. Erastus Asare Donkor reported that, the claim by the management of the indigenous securities broker-dealer and investment adviser of being in the process of gathering data on clients to work out a payment plan, could not calm Owusu down. Feeling spurred on by other customers who joined his protestation, he launched scathing attacks on the President, Nana Akufo-Addo for his failure to act to retrieve citizens’ locked portfolios in the investment company. The demonstrators in their vituperations, also accused the Group Chairman of the Nduom Group of Companies [owner of Gold Coast Securities], Dr. Papa Kwasi Nduom of being insincere. Two policemen who came to the scene following the ensuing melee, were not there to restore law and order; actually, they wanted their monies too, the reporter added. Prior to its present predicament, the Gold Coast Security had issued a statement in November 2018 in which it said, the company has earmarked March 1, 2019, for planned schedule official installment payments to span over a three-year period. This follows a new directive from their regulators, the Securities and Exchange Commission (SEC) to stop all SF related products which guaranteed a return on investments. Gold Coast also announced a three-year installment payment window beginning on March 1, 2019, during which all customers on the SF would be paid all their monies.